At West Chester Dental Group, each dental professional on our team allows our practice to operate smoothly and provide the highest caliber of dental care. Today’s West Chester dentistry article will focus on the duties of a dental assistant. You probably think of the dental assistant as: “The one who suctions my mouth while the dentist is working on me,” or “The one who attaches the bib around my neck,” and you are correct. However, his/her knowledge of patient care and dental lab procedures is probably more extensive than you realize. Competent dental assistants work behind the scenes at West Chester Dental Group in West Chester. They assist dentist Sanjeev Goel during all dental procedures including basic oral examinations, tooth prep and cavity filling, as well as lengthy smile makeovers involving multiple procedures. Our competent assistants also work with our dental hygienists during dental cleanings and patient instruction. When a dental patient arrives for his/her appointment, the dental assistant has already been preparing for the visit. Before he/she is escorted to a comfortable chair in one of our pleasant patient rooms, the assistant has made sure the room is ready for the particular treatment being performed. Whether the patient is receiving porcelain veneers, having their teeth whitened, undergoing a routine orthodontia adjustment, or settling in for a two-hour smile redesign with oral sedation, the dental assistant has set the stage for a comfortable and efficient procedure. At West Chester Dental Group, infection control is always foremost in our minds. Our dental assistants, dentists, and hygienists are vigilant about the sterilization of dental instruments and follow strict infection control protocols. The health of our patients and employees is our highest priority. 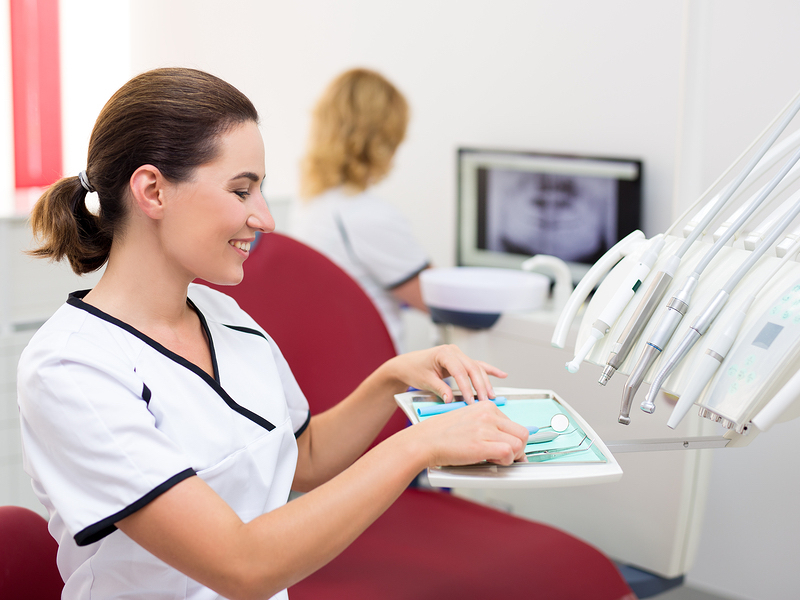 Dental assistants in Cincinnati dental offices may also prepare tray setups, make impressions for restorations, schedule appointments, take x-rays, and maintain and retrieve patient records. They must have a keen eye for detail and an excellent memory as they organize and stock the many different dental supplies in a typical office. West Chester Dental Group is located at 5900 W Chester Rd Ste A in West Chester, Ohio. We provide general and cosmetic dental procedures including cosmetic dentistry and root canals. To make an appointment for an examination, consultation, or cleaning, call 513-942-8181. Thanks for visiting our West Chester Dental Group blog!